Yacht brokerage is always a challenging market; sales of such enormous size and price cannot be easily predicted, and things can change very quickly, even after months of negotiation. Naturally, the economic climate has an impact on the luxury market. Thus, events such as the UK’s EU referendum and the US election caused uncertainty among customers, who were keen to see the results before making large financial decisions. Sanctions and a plunging rouble have also seen previously strong Russian demand weaken a little. In spite of these macroeconomic pressures, however, there has been a significant increase in large new-build projects; the 70 metre-plus market is now growing at an incredible rate, with a predicted fleet increase of over 36 percent in the 70-100 metre range by 2020. European CEO spoke to Raphael Sauleau, CEO of Fraser Yachts, about this curious period of challenges and opportunities, and how his company is responding. How has the new-build market changed recently? The new-build market is growing substantially in the larger yacht segment; there are currently 20 yachts over 100 metres under construction, which means that by 2020 there will be a fleet increase of nearly 49 percent. 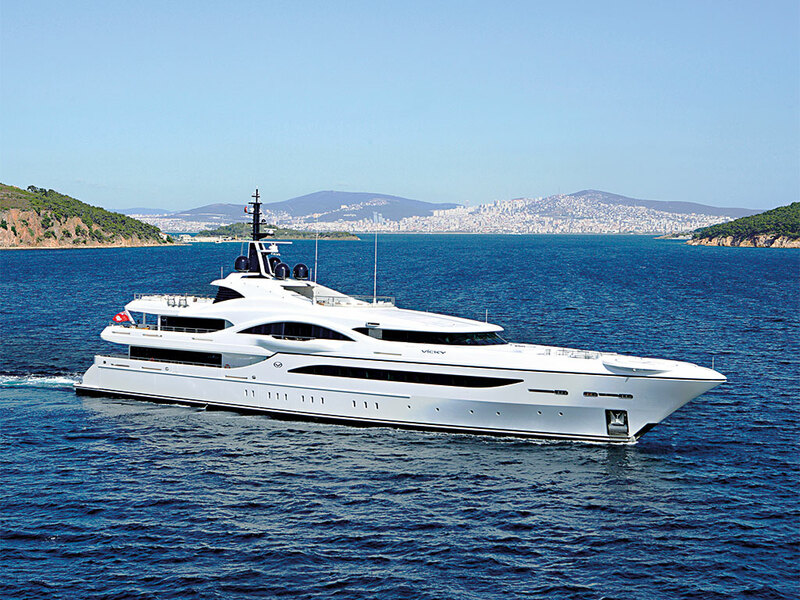 This large yacht segment is fiercely competitive, and there are a number of good quality Dutch and German shipyards targeting the sector, in addition to an increasing number of Italian and Turkish shipyards entering the fray as well. These construction projects incur significant costs for shipyards, so we are seeing far fewer yachts being built on speculation than in the lower end of the market. The mid-range market, which covers the 40-70 metre range, has remained relatively stable, particularly for the well established European pedigree yards. Unfortunately, we have noticed the demise of many US shipyards; even US clients seem to prefer to build their yachts in Europe. How did the yacht industry fair in 2016? Overall, 2016 was a fairly mixed year, with periods of peaks and lows. That said, the total number of yachts sold seems to be relatively in line with previous years. Supply is still exceeding demand, so it remains a buyer’s market. Selling prices are stable, and we actually saw a slight increase in the value of the yachts sold in 2016. We also noticed an increase in the number of sailing yachts sold throughout the year, though this is still a very small share of the market, at just over 10 percent. How have you responded to recent trends in the market? Whatever happens in the marketplace, we are always making efforts to find new clients; they may come from established markets, but may not be familiar with yachting yet, or they could be people from newer markets, such as Asia. We participate in luxury lifestyle and yachting-focused events, while we also work with local partners to make connections, as well as local or international publications to promote our brand. In recent years, we have focused increasingly on our project management division, VF Yachts, promoting our experience and the expertise of our parent company, V Ships, with whom we work closely on large projects and have won numerous new contracts in this area. What does the future hold for Fraser Yachts? We work in a service industry, so the most important thing for us is people; thankfully, we have a great team at Fraser Yachts, and I want to ensure that they have all the support and efficient systems available to allow them to do their jobs effectively. Currently, we are busy working with several partners from various sectors, including an ocean preservation NGO, in order to enhance our exposure, attract a new customer base, and participate in the ongoing efforts to rescue our oceans. Barcelona is fighting for pedestrians – but is the project misguided?